MSEC offers you a wide range of measuring and weighing solutions to provide to your customers. Our measuring stations and column scales are distinguished by high precision, with features that simplify and shorten everyday medical routines. 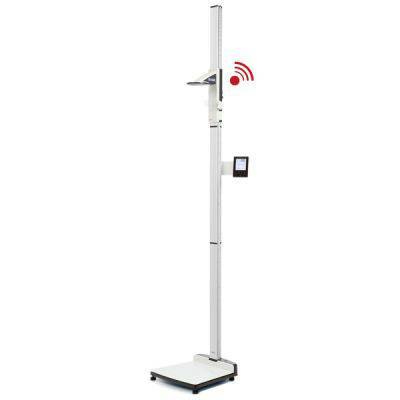 Thanks to the combination of scale and measuring rod, weight and height can be digitally obtained in a single procedure. There is no longer any effort involved in figuring out a patients BMI, since it appears automatically on the display after weight and height are taken.